The first Stuart Little movie, which was based on the classic book by E.B. 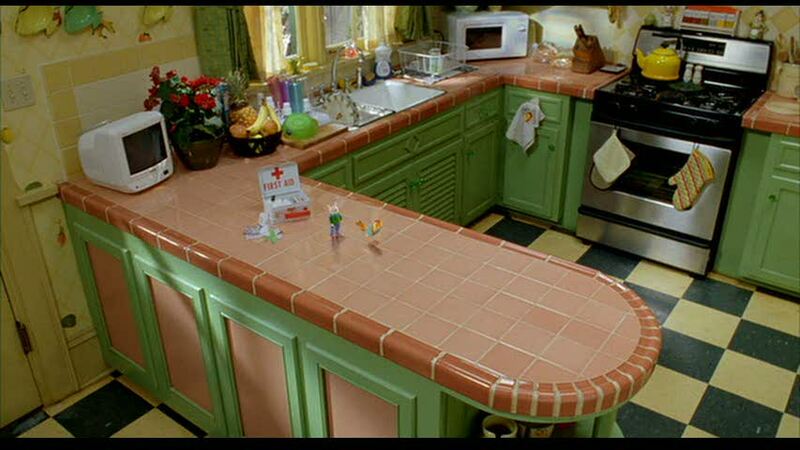 White, came out in 1999, and I loved how colorful and creative the Little family’s house was. 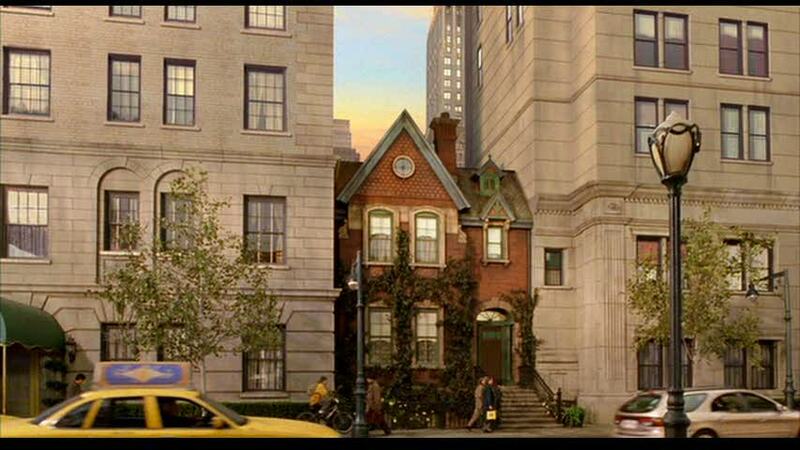 It’s a New York City brownstone near Central Park, wedged tightly between much larger buildings on either side. Let’s take a closer look! 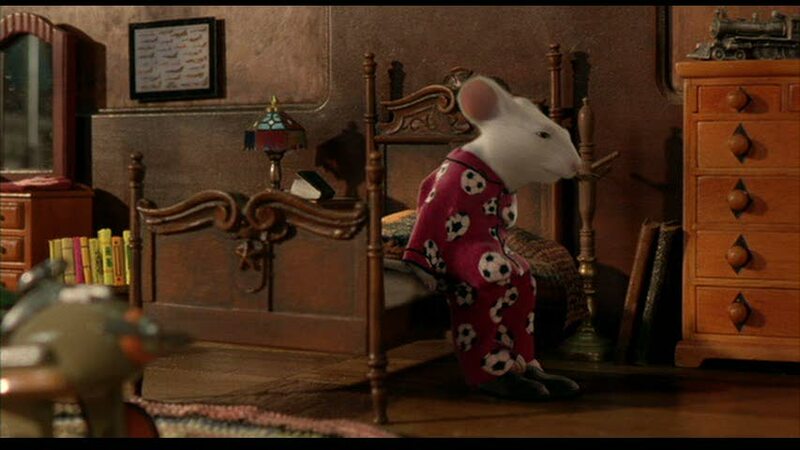 Mr. and Mrs. Little go to an orphanage to adopt a brother for their only son George, but end up adopting a mouse named Stuart (voiced by Michael J. Fox) instead. 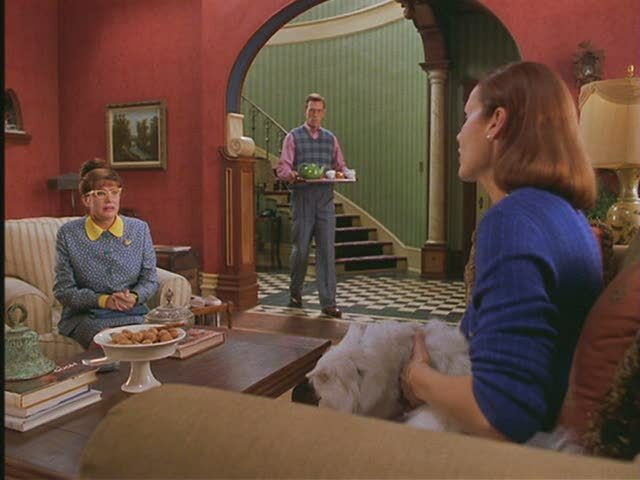 Hugh Laurie and Geena Davis played Stuart’s parents Frederick and Eleanor Little. The painting over the living room fireplace is “Sleeping Lady with Black Vase” by Hungarian painter Robert Bereny, which was thought to be lost since 1928. 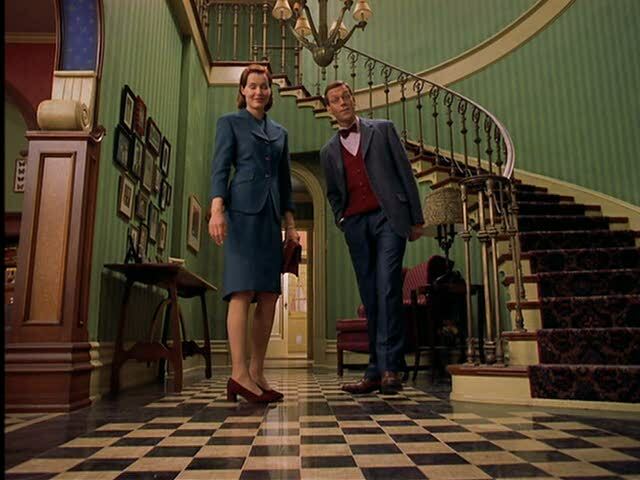 It was bought by a set-designer as a prop for $500 at an antique shop in Pasadena. When a researcher at the Hungarian National Gallery in Budapest watched the movie in 2009, he recognized it and it was “found” again! 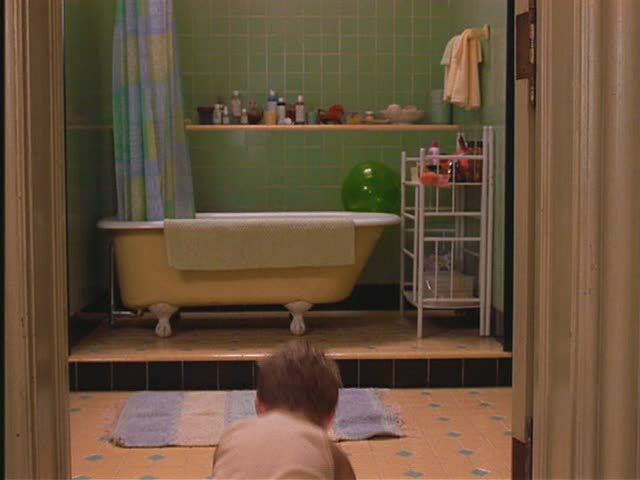 The production designer was Bill Brzeski; the set decorator was Clay A. Griffith. 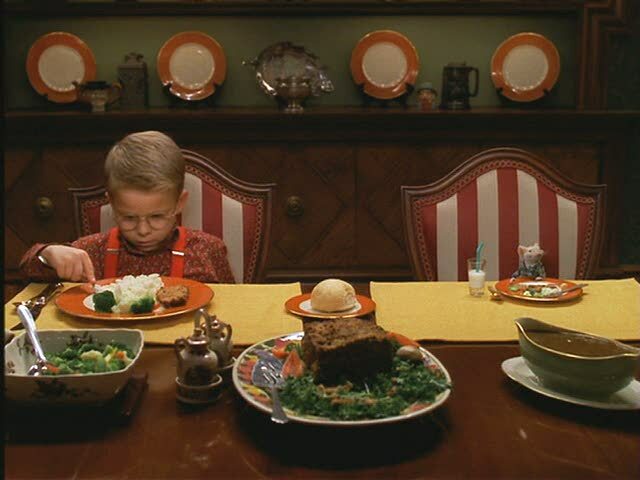 The kitchen was barely shown in the first movie, but the sequel had several scenes in it. Bramasole: Diane Lane's Italian Villa in "Under the Tuscan Sun"
I am partial to New York, but I LOVE this house, the best! Thanks. .-= Hudson Goods´s last blog ..Pack Your Bags! =-. I took about a billion screencaps of this house, particularly the kitchen & boys’ room. It’s just so charming and so very Little. .-= Pat´s last blog ..~Autumn Anticipation~ =-. .-= Sarah´s last blog ..Our House Renovation:: In the very beginning… =-. .-= Emily@remodelingthislife´s last blog ..Embracing This Imperfect Home =-. I absolutely adore this house! 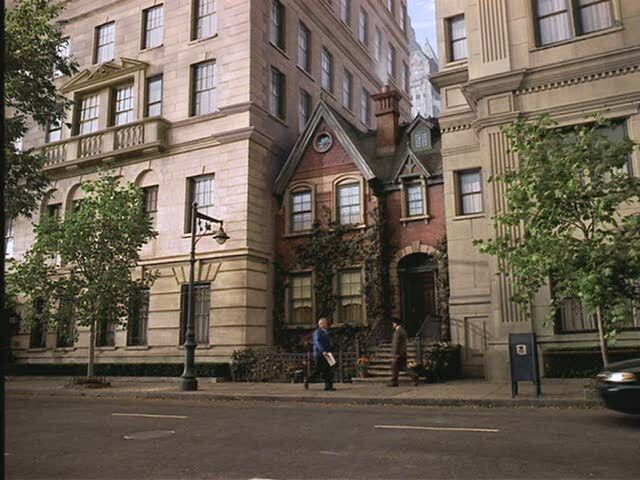 I remember watching this in fifth grade and gushing over the house, dreaming of one day when I could own a house like it. I recently bought the movie because I love looking at the house so much! I’m so glad it was featured! I love the rooftop terrace and the wonderful 40s kitchen! I have watched this movie several times with my kids, yes I said several. haha But I never paid too much attention to the house. Shame on me! .-= Carmen´s last blog ..Sunflower Love =-. 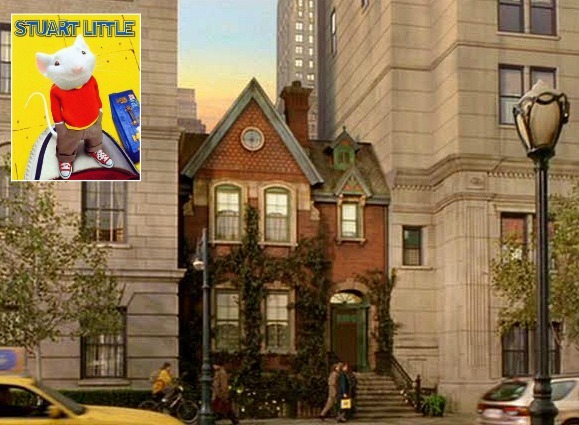 Although this is a set, it is interesting to think about how homes must be in NYC – there are so many rooms that are windowless. In Atlanta, where the detached house is the norm, a windowless room is not very common, and usually occurs only in a basement. I noticed this in the Kip’s Bay showhouse too – there are just so many rooms that you can put in the front and the back. .-= Things That Inspire´s last blog ..A Bungalow Transformation =-. Charming and perfect little home. .-= Linda@Lime in the Coconut´s last blog ..Ambrosia of the tropical Gods….. =-. Oh my goodness!! 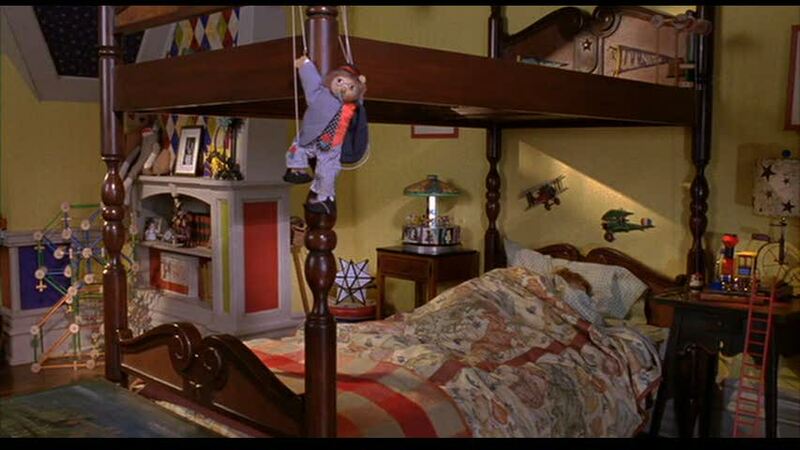 I LOVED the Little house in this movie!! 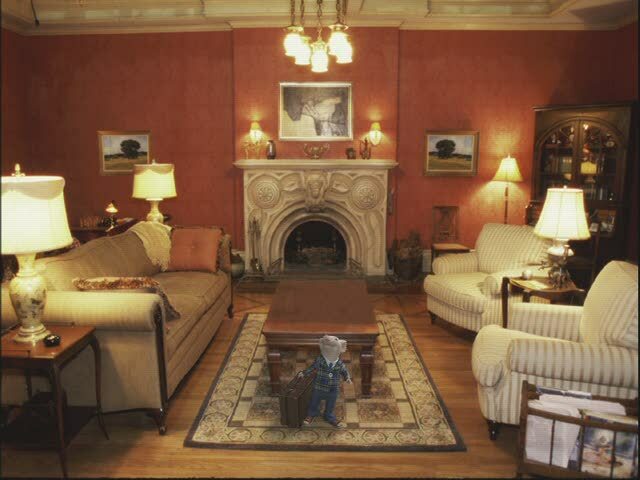 Did you notice in the living room the paintings on each side of the fireplace are a mirror image of each other! So stinkin’ cute! Thanks for the trivia about M. Night Shyamalan! He’s one of my favorite movie-makers! .-= Pam @ This Humble House´s last blog ..Thrifty Monday & Transformed Tuesday! =-. How fun!! I haven’t seen these movies… and I do love a colorful cartoon house… so I’ll desfinitely add them to my “movie house must see” list. Thanks Julia! .-= Tracy´s last blog ..Comfort and Luxury Bedroom Style =-. 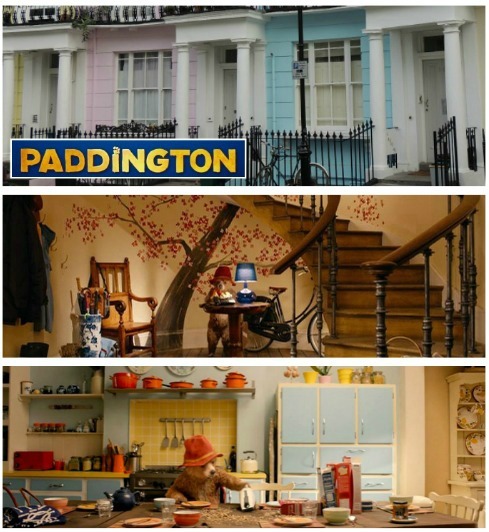 What a darling house–and Stuart’s pad in the sequel is just adorable. I love the attention to detail in this set! i am in love! I cant believe it is squished in there like that! .-= stephanie´s last blog ..Wedding Canvas Art – Unique ways to use your vows or lyrics =-. .-= Slowish Food´s last blog ..Dreaming of Marshmallows =-. .-= MissCaron´s last blog ..Rainy Days and Mondays =-. my kids also LOVED this movie!! .-= Stephanie@Geezees´s last blog ..Geezees Celebrates 1 year with a Canvas Giveaway ! =-. 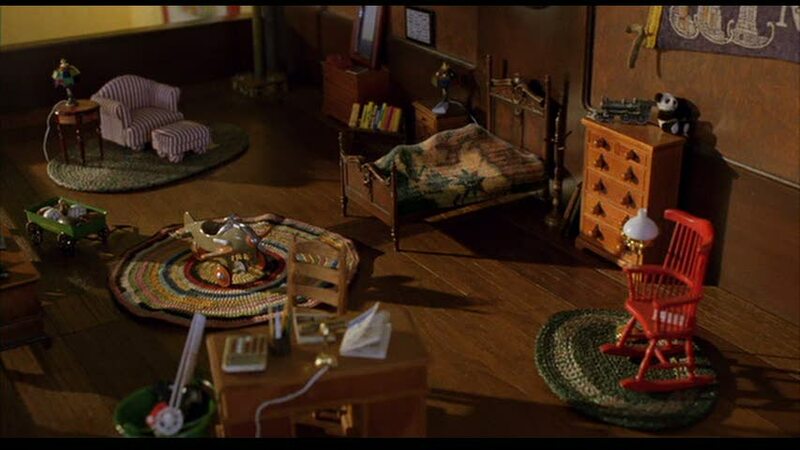 When my daughter was young, I enjoyed decorating her dollhouse much more than she did–I am fascinated by the miniature room! I love the harlequin pattern over the stove in the kitchen. 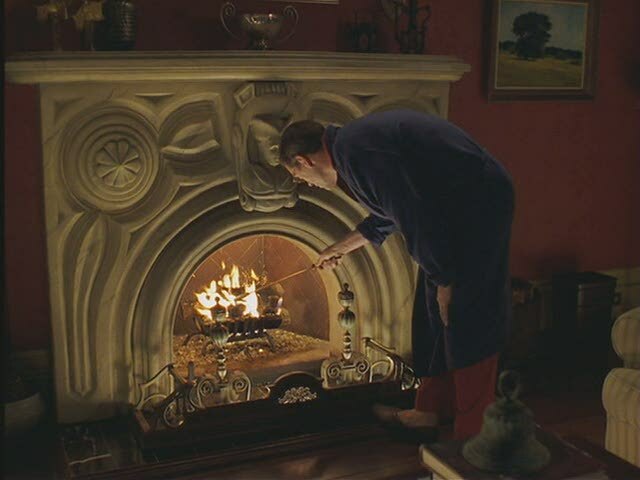 I did not see the movie and know Hugh Laurie only as the cynical but brilliant House–nice to see his other side! .-= susan´s last blog ..Tablescape Thursday and Foodie Friday =-. So cute and just how I would expect it to look from the exterior. I forgot there was a sequel and only saw the first one. I’ll have to try and catch the second one, but I’ll probably be too busy looking at the interior shots that I won’t get the actual plot! Thanks for picking an all time kid friendly movie. We love Stuart here at our house. I have seen and read this story over and over for years. Starting when I was a child reading one of the first editions of EB White’s book. I have decided to jump on your wagon and feature a Stuart Little project my daughter did a couple of years ago. She loves that little mouse! Thanks for taking the time to share Stuart’s home with everyone. Pop over to see her project when you can! 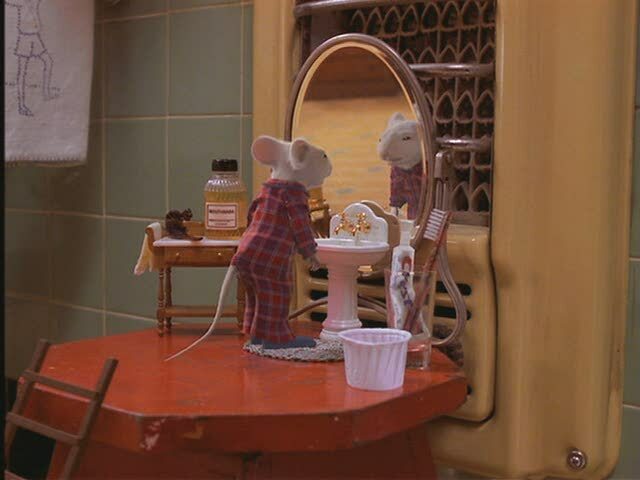 .-= Suzy´s last blog ..Ode to Stuart Little =-. What a hoot! Love this movie. But, no pics of the Little’s nasty little cat Snowbell? He about stole the show. 🙂 Thanks for the post. What a fun post!! I totally remember Geena Davis and Michael J. 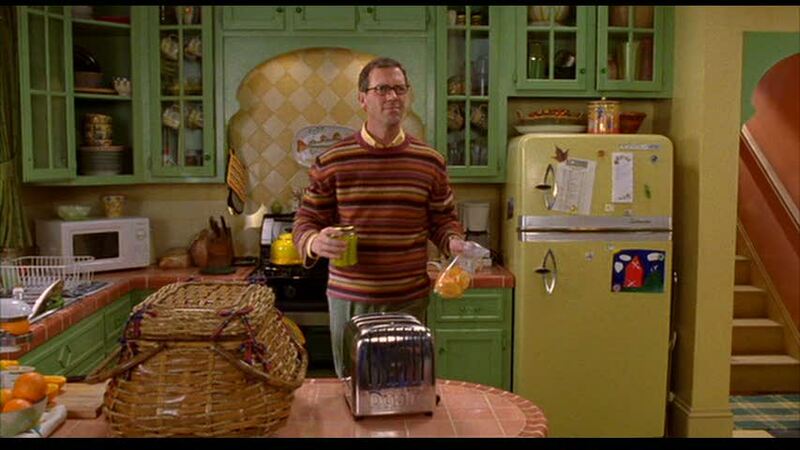 Fox in Stuart Little, but I had no idea that Hugh Laurie was the dad!! .-= DesignTies´s last blog ..Transforming your fabric vision to reality =-. I loved Stuart Little the book as a child. I’ve never seen the movie, but I bet my oldest would like it a lot. 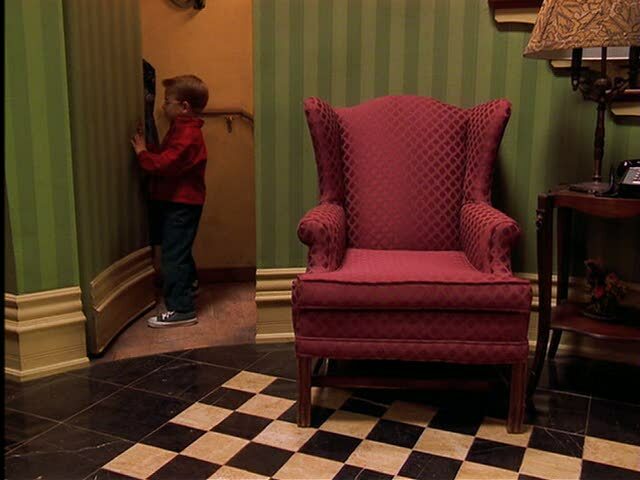 Stuart’s little “room” is so cute. It must have been fun to design for that movie. I like the kitchen a lot too! .-= Amanda @ Serenity Now´s last blog ..Look Out, Hans Christian Anderson =-. I love that you do this with the houses from movies! I always see movies and would like to recreate and get ideas but never know where to look . This is great! Have you ever done the house sin father of the bride 2?? I have been looking for pictures of that nursery and can’t find much! Does it really exists? I’m so amazed with the Little’s house and want to know if it’s real. If so, could you give me the address?